Naseem was born on 27th October 1987. The week before her birth there was a strong hurricane, the likes of which the UK hadn't experienced for decades. Coincidently, the name Naseem means gentle breeze so we are led to believe. Naseem went to Ballacloan, Fairfield and Ballakermeen schools. She performed renditions of the Spice Girls “if you wanna be my lover” and “M.I.B” Men in Black at her primary school. Although she was one of the closest pupils living to the schools she was often in after the bell. Fashionably late was always her excuse! Naseem loved to sing her music, she loved Michael Jackson (a child of her age) but you can't forget his beats and when she was ill she bought a big poster of all his album covers that still hangs on her bedroom wall. She just loved his beats. Probably as a dancer if reading this you would appreciate the grooves! When she became older and out with the girls she loved a to dance with her friends. Naseem entered dance competitions locally up to age 16 and then went on to perform with the Manx Operatics and other stage productions where she was able to showcase her talents and shine. This gave her an opportunity to go onto the stage and it was here that she got a real taste for performing in local shows at the Gaiety. Everyone that knew Nas thought she had the world at her feet and was destined for nothing less than the Westend. She ventured off to Chester and joined the Hammond School of dance and performing arts. She had a great year there and made many friends. Her facebook tributes from her friends at the Hammond and others are wonderful and a real tribute to her. Just before she took poorly, mum and auntie Thea went to Mold in Wales to see her end of year show. Coming back after that weekend, in fact the following day, she suddenly took very poorly and our lives took an unexpected turn. She was diagnosed at Walton Neuro Centre in Liverpool with a Gliomablastoma grade 4 multiforme. During Naseem’s 3 years of illness she faced up to her treatment and was determined to see it through. After numourous rounds of Chemo and Radiotherapy, she always tried to be positive and find ways of dealing with the situation at hand and her sense of humour usually prevailed over any upset or weakness she felt. She sponsored gorillas at the Dian Fossey Gorilla Foundation, she started painting again and looked forward to her days at the Hospice Day Centre, with her new friends. Naseem made collections on her 20th and 21st birthdays for Rebecca House and another brain tumour charity called Nicola’s Fund which was for another little girl who passed away with a brain tumour. After surgery and chemo she tried a new drug but had to fund raise publically for it. When everyone was donating generously to her treatment fund, Naseem was out doing her own sponsored walks with her dog Maximus around the Island and although she didn’t feel great due to her treatment, she was committed to making her contribution to the fund along with Isle of Man community and had many a happy time walking up the beautiful Marine Drive with her mum and her dog. Naseem was always beautiful and remarkable, but the depth of her beauty was never more apparent than in the courage with which she faced her illness. To battle such a serious illness and treatment with its undesirable side affects showed tremendous bravery, dignity and determination. We have been told that she was an inspiration to the patients she knew at the Hospice day Centre where she attended weekly. 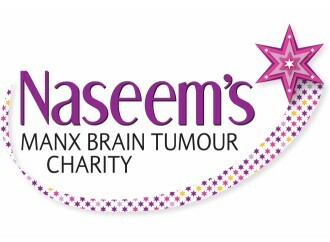 On the day she died, 14th October 2009, her charity Naseem’s Manx Brain Tumour Charity was legally registered. We will continue to support Isle of Man residents suffering from brain tumours to the best of our ability. This is what Naseem wanted, the kindness shown to her to be passed on to other IOM residents suffering from brain tumours. She also wanted to find ways of helping people at a local level and find ways of contributing to research. By supporting the charity, you will be making a difference to all those with brain tumours and their families.